Leather jackets and accessories make a great fashion statement. Expensive as they are the style factor makes up for the pricing. And expensive as they come, maintaining them is another story. So you bought a new leather jacket, flaunted it and now your thinking how do I maintain and store it? Conditioning it is one option. Waterproofing a leather coat will prevent moisture stains making it last for decades. Getting your leather coat maintained by a cleaning specialist also helps. But just keeping it in your closet won’t. 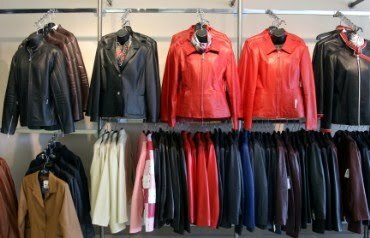 Most experts recommend storing leather items in climate controlled units which protects the leather from the excessive heat and humidity in the closet which can lead to drying out of the oils in the leather. Preferably a dark room, because exposing leather to sunlight causes discoloration. Also hang coats and jackets on wide wooden hangers to avoid getting creases. Climate controlled units in a storage facility like The Box in Dubai fit the bill. The Box is a storage facility in Dubai with safe and secure, climate controlled units. Their storage facilities in Dubai have 24-hour CCTV surveillance along with round-the-clock access so that you can visit just about anytime. The Box provides personal storage, document storage, record management in Dubai along with home and office removal services.